Warm up your body and mind with Fleet Moves Morning Movement Class. Led by Fleet Moves Artists, this class will offer participants a chance to breathe, stretch, align, and dance together—a great way to start the day. Come as you are, no previous dance training required. Wear clothing you can move in. Create moving works of art with Fleet Moves artists. Move through space like a rolling wave or a giant whale, learn how to twirl, juggle, and jump! Each morning will be a new adventure. Ages 6-11. Dawn Dance is part performance, part morning ritual, unfolding along the beach as the sun rises over the Atlantic Ocean. Suggested directions for engagement will be made public, so all who would like to participate may. Meet us at the Parks and Recreation Square Dance on Wednesday night! Fleet Moves Dancers are ready to do-si-do with a special new dance created in partnership with Nauset Together We Can in honor of the Outer Cape. 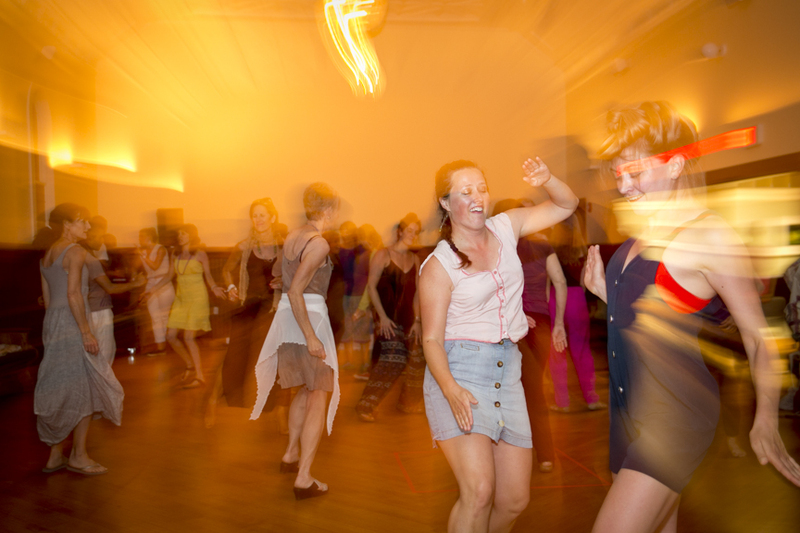 Learn the “Outer Cape Shuffle” and (square) dance the night away at Wellfleet Town Pier. With is a day-long event of collaborative duets between bodies, sites, and sounds. Through counterpoint, balance, discord, and harmonies, visiting and local artists will explore the power of two. A crowd sourced live archive of Fleet Moves 2015. Make a contribution by filming a short dance in, around, and/or with Wellfleet and tag it #FleetMoves2015. Videos will be shown throughout the week at Wellfleet Public Library. Join us for a dialogue about dance, science, and place at the Chequessett Neck Dike. Lailye Weidman will lead a workshop inspired by conversations with scientists and community stakeholders about this shifting landscape. We will move, imagine, create, and share with one another. Please wear comfortable clothing, closed-toe shoes, and bring water! Join the Fleet Moves Artists at The Wellfleetian for a tropical dance party featuring sounds from Wellfleet’s own DJ Emerson Breneman.